Sharon and Steve recently completed the remodel of their magnificent three-story Northwest Hood Canal waterfront home. This home features a towering 20-foot-high wall of west facing living room windows with incredible water and mountain views. As you can imagine this home presented the owners with a unique challenges for heating and cooling. 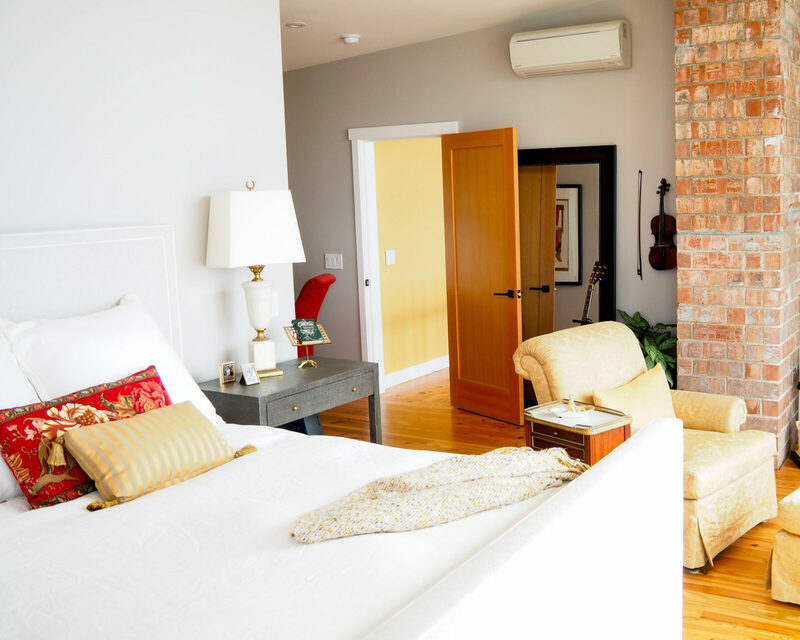 The solution was a hybrid heating system using a ductless heat pump to heat and cool both the living room as well as the master bedroom, and Ducoterra’s Infrared Radiant Panels mounted on the ceiling of all the other rooms, including three guest bedrooms, three bathrooms, and a family room. 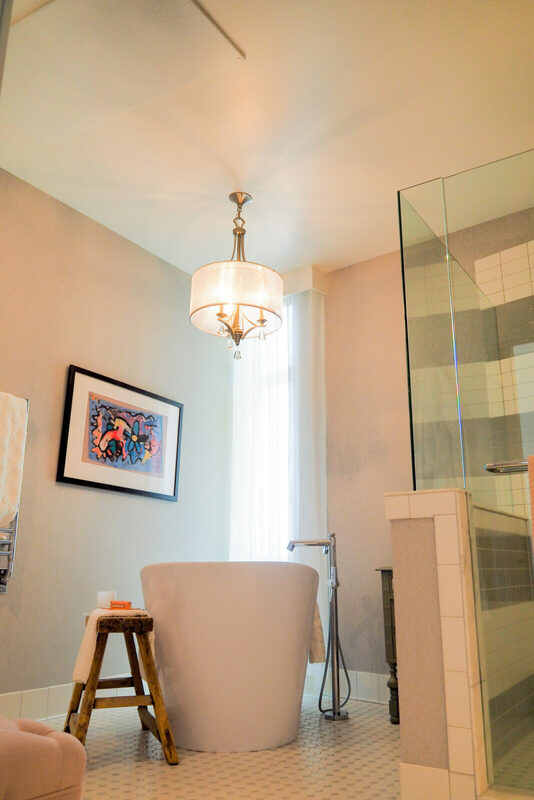 Concerned with the look of their home, Sharon and Steve and brought in a long-time friend and interior designer, Martha, to consult during the remodel. 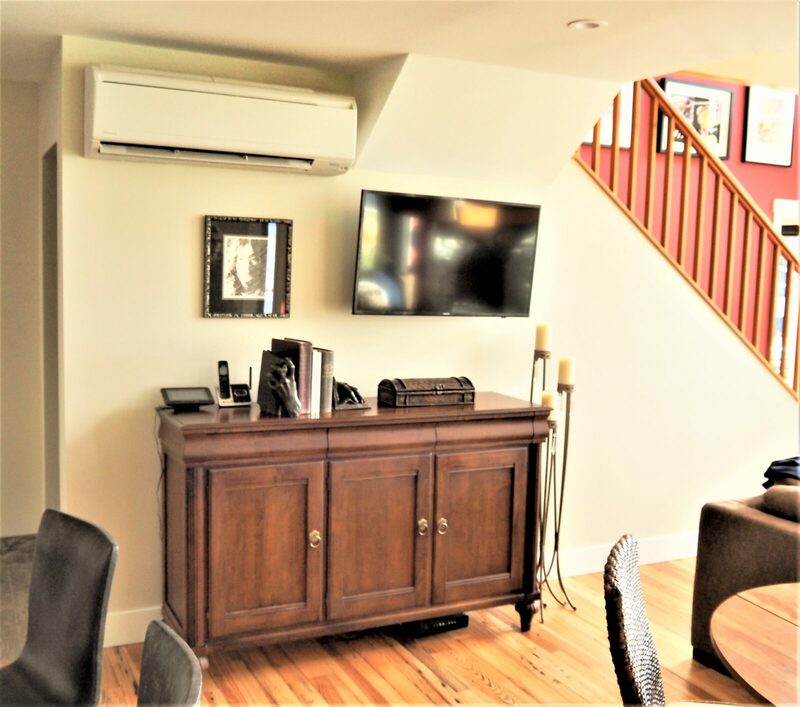 While the ductless heat pump would deliver effective and efficient heating and cooling, both Martha and Sharon disliked the look of the ductless heads. The thought of having them in all the other rooms was out of the question both for aesthetics as well as cost. 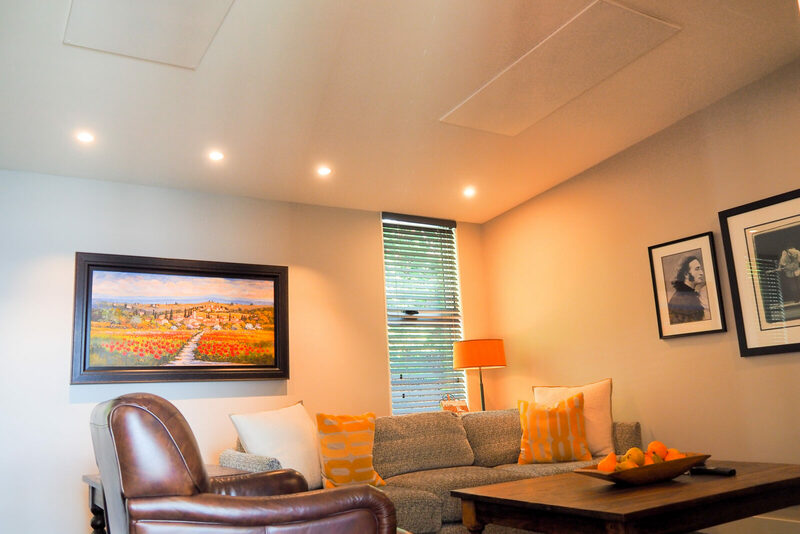 Fortunately, Martha knew about Ducoterra’s ceiling mounted radiant heating panels and as a result, she recommended them to Sharon for the other rooms in the home. The resulting hybrid heating system using these two efficient heating technologies was a success. 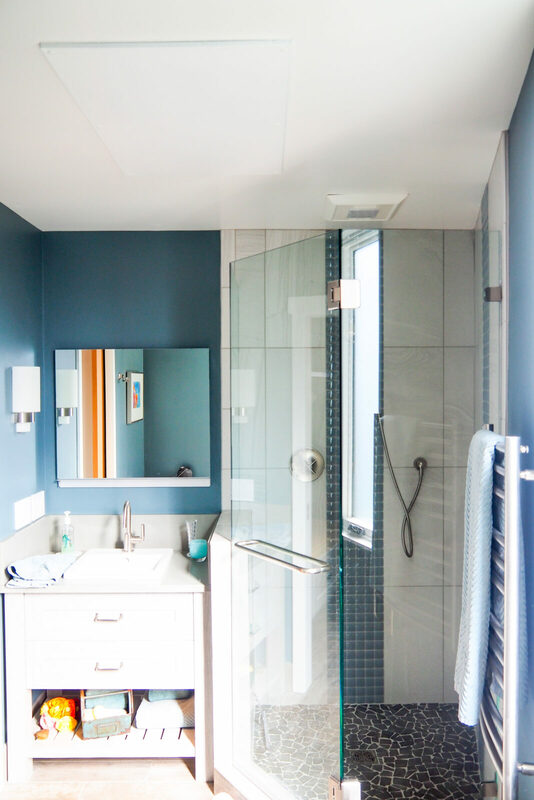 Sharon loves the way the panels are quiet, unobtrusive and barely visible as well as the gentle heating from Ducoterra’s panels. Both are looking forward to the ductless system keeping them cool in the summer. 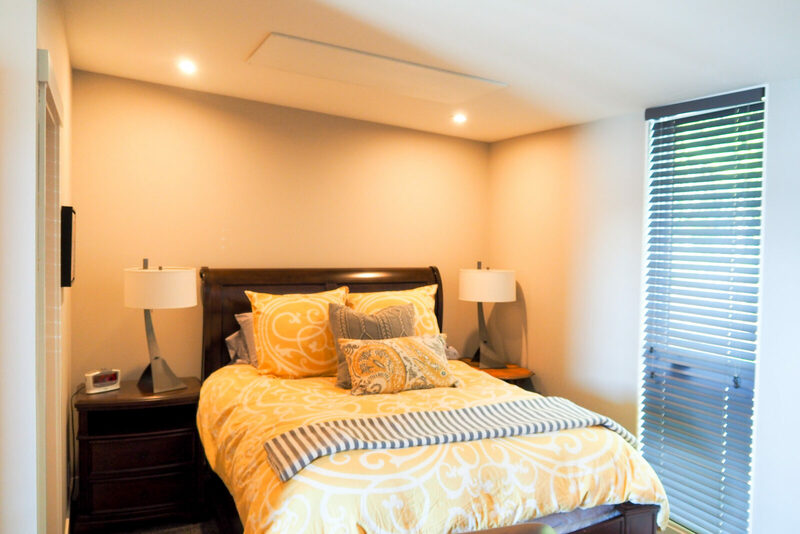 Furthermore, Steve likes the fact that he can control the temperature of the heating panels in several of their infrequently used guest bedrooms and bathrooms, saving on energy and lowering their heating bill. Thank you for sharing this and congratulations on a hybrid project such as this… well done!